Conservative columnist Dr. Michael Brown claims his Twitter account was temporarily locked after he spoke out in support of the Nigerian Christians being increasingly persecuted by Islamic militants. “For the first time, after more than 35 thousand tweets, Twitter has locked my account. Why? Because I told the truth about radical Islam and I told the truth about the slaughter of Christians in Nigeria,” Brown wrote at The Stream. 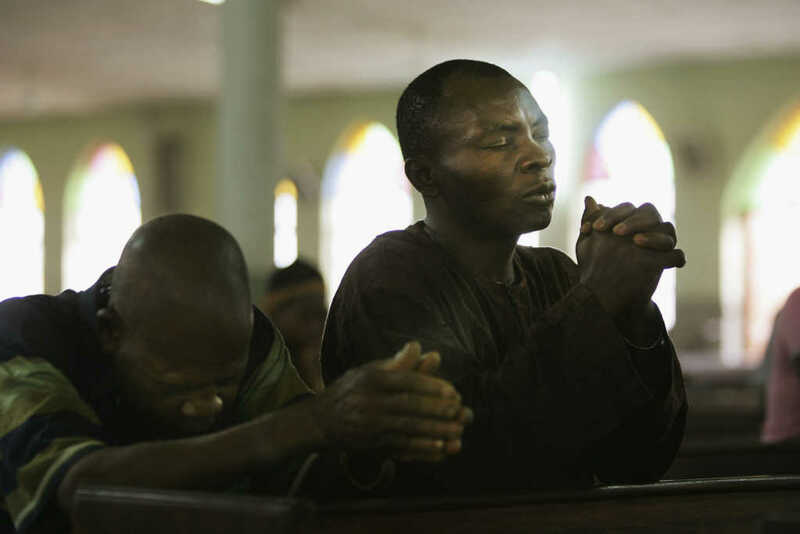 Christian persecution charity Open Doors USA has reported that at least 200 Christians were killed between June 21-24 as the Islamist Fulani Herdsmen ramp up their attacks against the Christian minority. But when Brown, who has over 30,000 Twitter followers, penned a story entitled “President Buhari, Please Stop the Muslim Slaughter of Nigerian Christians,” he said his social media account was unfairly censored for 12 hours. Keep sharing this article! Word is getting out! MANY Nigerian Christians are thanking us for telling the truth while other people (inside & outside the country) are attacking us & seeking to discredit & defame. Truth will triumph! The blood of the martyrs will not be ignored! As of this publishing, it was retweeted over 1,300 times and liked over 700 times, and the article itself has been shared thousands of times. Clearly, many Nigerian Christians are terrified at the prospect of being attacked by Fulani herdsmen or Islamic militants Boko Haram. Brown received many replies from those who profoundly appreciated his advocacy on their behalf, especially when many in the mainstream media aren’t prioritizing the plight of persecuted Christians around the globe. But when Twitter administrators read some of Brown’s replies, the social media platform, which boasts over 300 million users, took immediate action. “When I checked my Twitter feed late this morning, I was shocked to see that my account was limited for 12 hours (meaning, I can only send followers Direct Messages and cannot tweet anything of my own, make comments, or retweet or like other tweets),” he noted. Twitter’s reason for the lock-out? But Brown argued that he was, in fact, “exposing” hateful and murderous conduct. “I was not promoting violence against other groups. I was calling for the president of Nigeria to combat the violence,” he added. “Twitter is silencing the very voices calling for justice and urging that innocent children, women, and men be protected. How can this be?” he asked. This is not the first time Brown has been in trouble with the social media police. When he previously quoted Palestinian militant group Hamas on Facebook, he was charged with inciting to “exterminate Jews.” Facebook, however, realized their error and reinstated his account. He hopes the same will be true for his Twitter account. According to Open Doors USA, in the space of just a few days, “a dozen villages in Nigeria’s Plateau state were wiped out” by Fulani herdsmen. More than 50 heavily armed Fulani herdsmen surrounded the village of Nghar, in Gashes district, at around 3:30 a.m,” noted Open Doors USA. “They burned down all the houses, as well as two churches. Only a few people were able to escape. Please continue to pray for all the Christians facing persecution for their faith in Nigeria.